Born in Australia, Nathan Parson‘s father worked as civilian supervisor at a military base, so he admits that his family “bounced around a lot” while he was growing up. After leaving Down Under, they relocated to Colorado and eventually Texas, where Parson completed high school. After graduation, he hit the road to Los Angeles in 2006. Originally, Parsons planned to be a dancer on Broadway, until he was bitten by the acting bug. Upon arriving in L.A., Parsons attended USC’s prestigious acting program but, eager to test the waters, dropped out after a year and a half. In 2007, he landed his first film role and the rest, as they say, is history. Has an older brother, Robert, and a younger brother, Jared. Originally auditioned for GH for the role of "Chris," who was to be a bodyguard for Carly. Is a member of The Boom Kat Dance Company of Santa Monica, CA. In 2010, appeared in The Busy World Is Hushed, alongside GH co-stars Carolyn Hennesy (Diane) and Jason Thompson (Patrick). Considers Anthony Geary (Luke) his mentor. Five-time Daytime Emmy-winner Jonathan Jackson (ex-Lucky), who is on hiatus from NASHVILLE, will reprise the role of Luke (Anthony Geary) and Laura’s (Genie Francis) son for a brief stint this summer on GH, reports ew.com. A host of soap alums have been cast in prime-time projects. 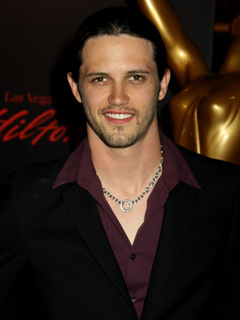 Looks like GENERAL HOSPITAL's Nathan Parsons (Ethan) is headed out of Port Charles. GH's Nathan Parsons (Ethan) guest stars on STATE OF GEORGIA on ABC Family tonight, Wednesday July 6.